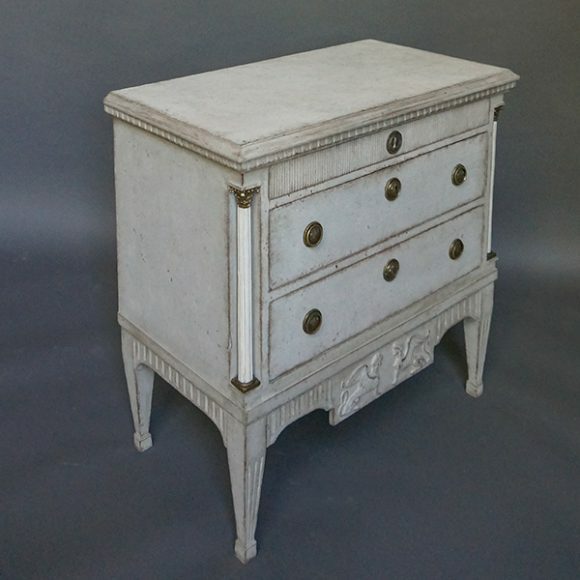 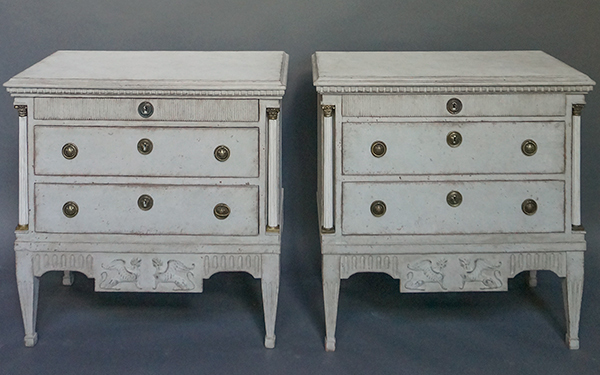 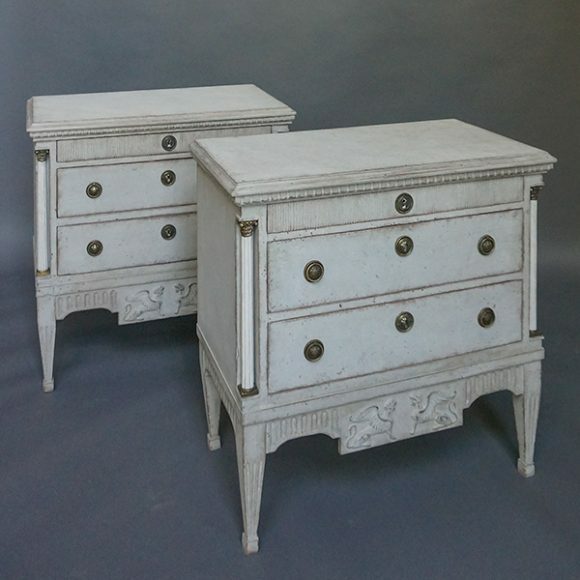 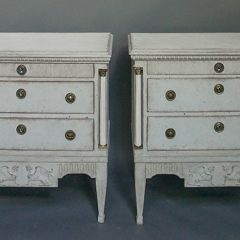 Pair of Swedish neoclassical style commodes, circa 1880, with fully round columns at the corners. 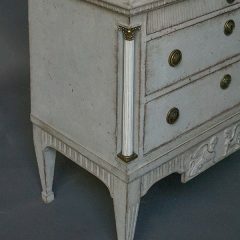 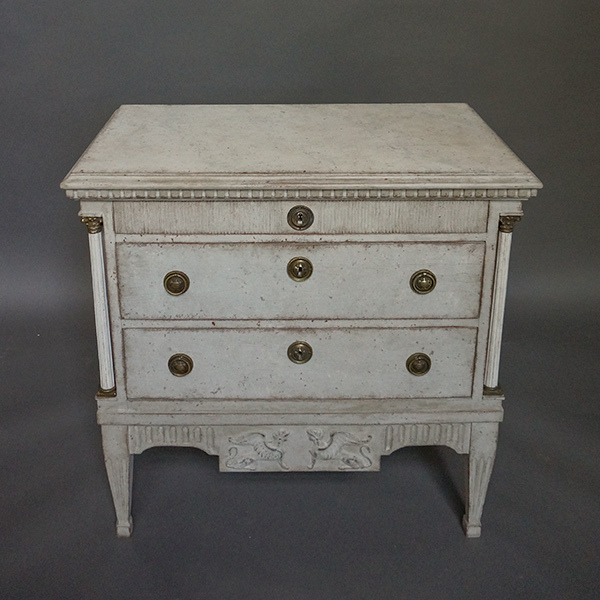 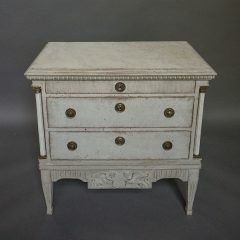 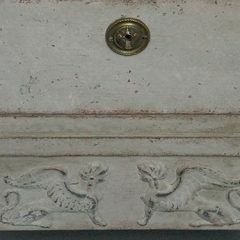 Dentil molding around the top and vertical reeding on the top drawer front. 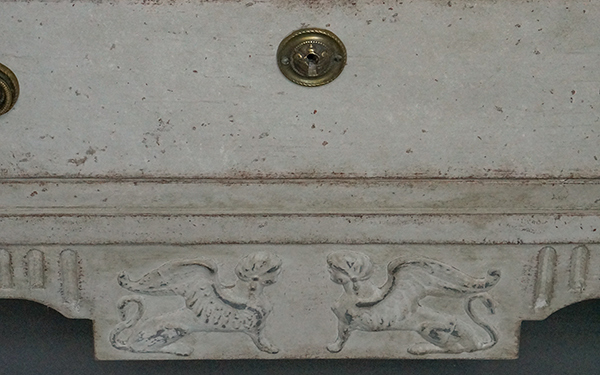 In the center of the aprons are panels with facing sphinxes which guard the commodes’ contents. 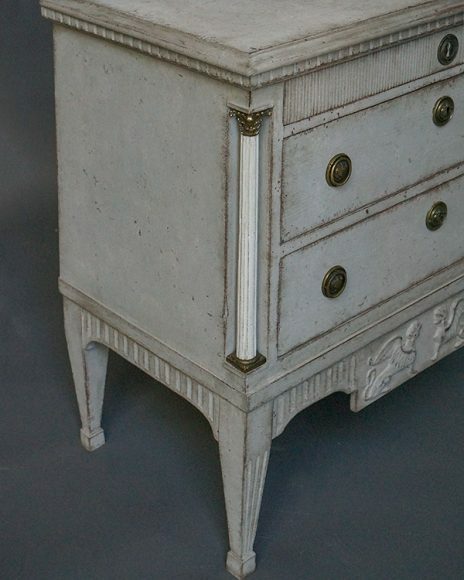 A rare and beautiful find.